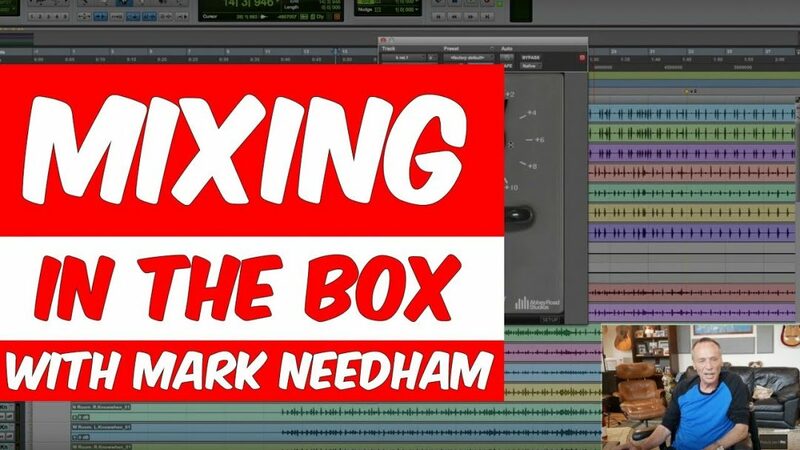 Mark Needham is one of the most sought after Mixers in Los Angeles. We’ve been friends for around 15 years now and he has mixed so many great songs for me! This song with Jay Clifford is no exception! In this excerpt video of his course he shows us some of techniques he uses, one of those is a favourite of mine, using EQ and DeEssing multiple times to give the vocal air but remove harshness. He showcases a couple of plug ins like the ‘Oxford Envolution’ and shows us a handy preset that’s perfect for Toms! One of things I admire most about Mark is his no nonsense get the job done the best way possible attitude! He mixed albums on a Neve, then a SSL 4000, then Hybrid using SPL Summing Amps and now he is entirely In-The-Box using a Slate Raven! Whether he’s mixing modern artists like Saint Motel, P!nk, Tokyo Police Club, or legacy artists like Fleetwood Mac, Chris Isaac and Blondie, Mark’s acquired knowledge shines through! This is a mixer who has heard so many different permutations and knows what solution to apply where! The gift of watching Mark work and the ability to have every multi track he is using, the full song and open up HIS session and follow along with him is huge!! Please check out the excerpt and the course! I know you’ll get so much out of it! I sat in the room while we were filming and picked up so much!